We believe that blockchain technologies should be accessible to everyone, regardless of age or IT skills. We intend to facilitate and accelerate the adoption of cryptocurrencies, by making blockchain usage simpler, easier and more secure. Our first goal is to eliminate the need of using blockchain addresses, similarly to how domain names eliminated the need of using IPs. You get a unique alias and associate your blockchain address with it. Instead of using your blockchain address, people can start using your simple and personalized alias. Alternatively, people can continue to use your blockchain address. However, when they input it in a wallet, your alias will appear and will give them the confidence of having introduced the right characters. CryptoAlias is a decentralized application built on Ethereum. All the data, such as mappings between aliases and blockchain addresses, is public and accessible to everyone. Directly through the Ethereum blockchain by using the CryptoAlias contracts, with no involvement from the CryptoAlias team. 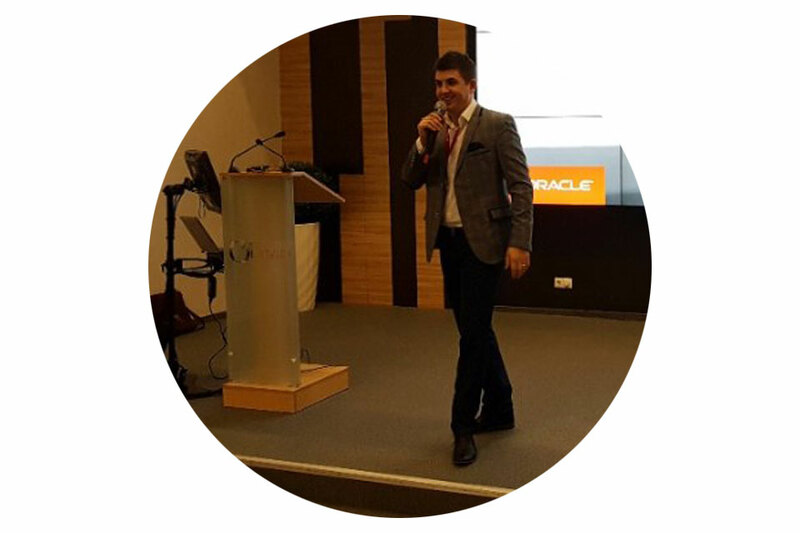 Through the CryptoAlias web application, which is managed by the CryptoAlias team. The web application is built on top of the blockchain contracts and makes it easier for non-technical people to use the system. Authentication on the web app is anonymous. To register, users only need to provide their public blockchain address, and then give a ping to the CryptoAlias team from that address in order to prove their identity. In addition to the web app, we will also provide a public API for our partners (i.e. wallets), which will allow them to query easier through the CryptoAlias data. In the long term, we plan to have partnerships and integrate will all major wallets. The mapping between a blockchain address and an alias will happen behind the scenes. However, until that time comes, we will offer a CryptoAlias browser plugin, which will allow users to use CryptoAlias with unintegrated wallets as well. CryptoAlias addresses the problems described in the previous section by allowing users to associate a blockchain address with a simple, user-friendly and unique alias.Theeasiest way to illustrate what CryptoAlias does is by using an example.Bob is a web developer and accepts payments for his services on the following Ethereum address “0x7045275C5D1EDc11167ad4f5E8fE6FCD4aCD8af3”.On the CryptoAlias platform, Bob associates his address with a unique personalized alias “Bob”.Besides the alias, Bob also associates his address with thestatus “Active” and the description “Use this address to pay for website development. Ifyouhave any questions, contact me at bob@mail.com”.Jim is Bob’s devoted client, who regularly sends Bob ether in exchange for his services. Instead of using Bob’s blockchain address, Jim can start using the “Bob” alias instead. When Jim types either the “Bob” alias in a walletor Bob’s blockchain address, all the information about the receiver (such as alias/address, status, description) is displayed. Jim can review this information before confirming the transaction. Anyone can get a personalized and unique identity on the blockchain. Initially, an identity will be any combination of numbers and letters, so users could get their name, their company’s name, theirfavourite word, or something completely abstract as theiralias. CryptoAlias prevents users from sending funds to the wrong address, as it’s less likely to mistype a short and simple word than a lengthy string of random characters. If users continue to use blockchain addresses, they can use the shown aliases to confirm that they have the correctaddress. In addition, CryptoAlias makes it harder for attackers to trick people into sending them funds. For instance, if an ICO address is replaced, the new address will have a different alias (or none) and will thus be easier to spot. Moreover, addressing this security problem, enhances the credibility of the Blockchain systemas a whole. CryptoAlias makes it very simple for clients to find you on the blockchain. Since aliases are short and simple, they can be typedfrom memory, saving the burden of finding and copy pasting a blockchain address. Moreover, aliases reduce the time spent on double checking thecorrectness of thelong blockchain addresses.In addition, CryptoAlias allows the owner to change his/herwallet address, while maintaining the same alias. This change will be transparent for theclients, as they will continue to reach him/herat the same alias. However, in order to prevent malicious behaviour after an alias changes its owner, for a predefined period of time clients will be notified before sending funds to this alias and asked to carefully verify the correctness of the address.This notification will be displayed in the wallet along with all the other CryptoAlias information. As a result, the sender will be able to spot irregularities before confirming a transaction. Besides being associated with a unique alias, a blockchain address can also be associated with a status and a description. Statuses are predefined and vary depending on the wallet’s purpose (i.e. personal wallet, company wallet, ICO wallet). For instance, in case of an ICO, the owners can choose between the Created/Started/Closed statuses. This way investors will receive precious information right when they introduce the alias/address in the wallet. The description can be used to inform clients about terms and services (for owned accounts), or to describefunctionality (for contract accounts). CryptoAlias iscompatible with all blockchains. We aim to become the de facto standard for blockchain identity, similarly to how DNS is for the web. After implementing the CryptoAlias system for Ethereum, we plan to extend our platform for all major cryptocurrencies. A user will be able to use the same CryptoAlias for different cryptocurrencies, making the blockchain simpler. In other words, an alias will not be dependent on a particular platform. To exemplify, if someone owns the alias “JohnDoe”, then they can reuse it across multiple blockchains(that are supported by the CryptoAlias system). On each blockchain platform they can set a separate status and description. As a result, CryptoAlias bridges the gap between different blockchains, as it brings together addresses from different blockchains under a single identity. One of the benefits is that by knowing your alias, clients can reach you on any blockchain without knowing the exact address. A user will be able to use the same alias for different Blockchain platforms. However, CryptoAlias will prevent users to make transactions from an Ethereum wallet to an Alias which doesn’t have an Ethereum address associated with it.The system will spot the differences and will warnthe user. The same is available for allinter-platform transactions.However, in the future, if the sender wants to send funds from a different blockchain than the receiver’s, then CryptoAlias will offer the option to make a conversion. 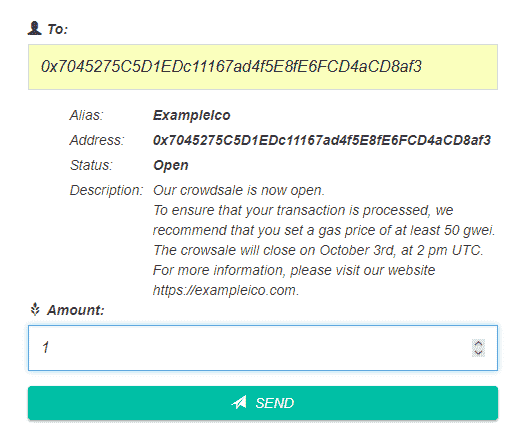 For instance, if a user wants to send 10 ETC to an alias connected to an ETH wallet, CryptoAlias will let the userchoose if he/shewants to make a conversion at the market rate and send thefundsto the selected alias. This will save users time as they won’t need an exchange to make the conversion. CryptoAlias makes no concessions. Although users get an identity on the blockchain, they don’t jeopardize their privacy. An alias corresponds to a wallet, not a person. Ordinarily, a person will have multiple wallets. It’s up to the user to decide for each wallet if they want to choose an alias with their real identity or something totally unrelated to their persona.